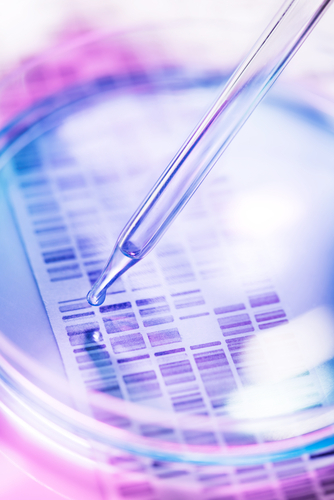 An international research project based at UT Southwestern Medical Center in Dallas used next-generation DNA sequencing technology to identify more than 1,000 genetic variations that affect a person’s susceptibility to systemic lupus erythematosus (SLE). The human immune system defends the body against microbes and other threats. However, if this process goes wrong, the immune system can attack the body’s own healthy cells, which can lead to serious autoimmune diseases such as SLE, where the immune cells often attack internal organs – including the kidneys, nervous system, and heart. Over the past decade, multiple genes have been linked with an increased risk of SLE. Still, it is largely unknown how the sequences of these genes differ between people with SLE and healthy individuals, and the precise changes that lead to an increased risk of SLE. “SLE starts when the immune system attacks multiple organ systems in the body, which can result in a complex array of symptoms that are difficult to manage clinically and can lead to organ damage,” Dr. Edward Wakeland, Chair of Immunology at UT Southwestern, said in a news release. “Our findings support the potential of precision medicine to provide clinically relevant information about genetic susceptibility that may ultimately improve diagnosis and treatment,” said Wakeland, co-senior author of the study recently published online in the journal eLife. According to Wakeland, the study findings may provide important implications for other systemic autoimmune conditions, a category of diseases that affect multiple body systems and includes conditions like type 1 diabetes, multiple sclerosis, and rheumatoid arthritis. In the study, “Regulatory polymorphisms modulate the expression of HLA class II molecules and promote autoimmunity,” Wakeland and his teammates conducted a DNA sequencing analysis of millions of DNA base pairs from more than 1,700 people. The use of this technology allowed the researchers to identify genetic variants that contribute to the development of SLE. The team was able to identify 1,206 gene variants sited in 16 different regions of the human genome that were linked with increased predisposition to SLE. All but seven of these gene variants were found to modify the level of expression of certain molecules that are responsible for the regulation of the immune system responses. “Prior to our study, such a comprehensive sequence analysis had not been done and little was known about the exact genetic variations that modify the functions of the genes that cause SLE,” said Wakeland, who holds the Edwin L. Cox Distinguished Chair in Immunology and Genetics. The sequence analysis used DNA samples from 1,349 American Europeans (773 with SLE disease and 576 without) from collections at UT Southwestern, Oklahoma Medical Research Foundation, UCLA, the University of Southern California, and the Université Catholique de Louvain in Belgium. First, the researchers identified the sets of DNA variants that augmented the vulnerability to SLE in Caucasians. They used several databases including the international 1,000 Genomes Project to determine whether these variants were also present in populations from South America, South Asia, Africa, and East Asia. Then, the team established the DNA sequences related to SLE at specific genetic regions, and discovered that the risk for SLE was linked with certain groups of genetic variations, also known as haplotypes. Thus, the researchers identified that specific haplotypes increased SLE risk while other haplotypes were protective against the disease. The team determined that the gene variants and the haplotypes were spread across subpopulations globally. The results suggested that some haplotypes are shared at different frequencies through the world population, indicating that these genetic variations in haplotypes in the immune system may have ancient origins. The researchers will continue to work on this project by examining more DNA samples and enlarging their study to other genes that increase the risk for SLE. The aim of the project is to gather a large data set of the genes that can predict the individual proneness to SLE. “It is feasible that this same type of genetic analysis will allow the clustering of SLE patients into specific groups, based on their genetic predispositions, which would improve clinical management and potentially allow the development of more targeted therapies,” Wakeland said. UT Southwestern recently announced that Wakeland will be heading a DNA-sequencing program with the goal of addressing critical challenges. The new facility, which will function with the Department of Pathology, will offer sequencing analysis for cancer and other diseases. “This clinical sequencing core facility will generate laboratory data to be used for the evaluation of patient tumors. I hope we will someday expand to genotyping patients to identify potential susceptibility to autoimmune disease and many other conditions as the field of precision medicine develops,” Wakeland said.